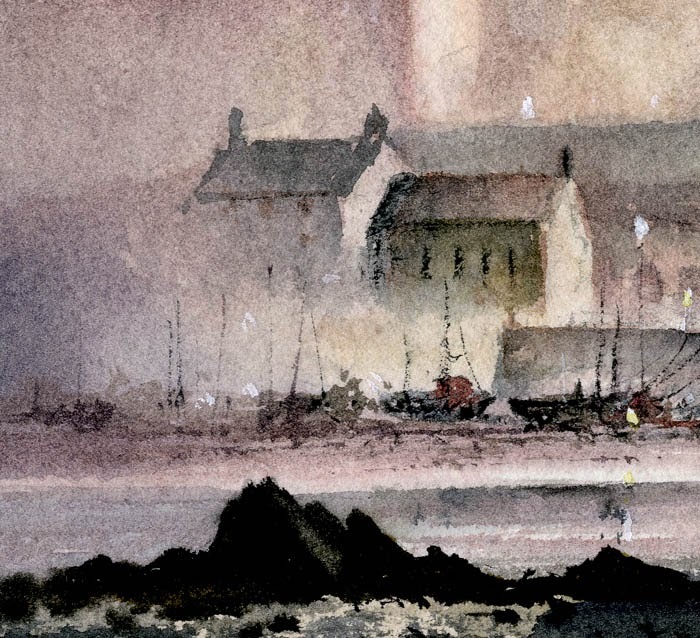 This entry was posted in aerial recession in landscape paintings, atmosphere, David Bellamy, watercolor wet-in-wet mist and tagged Watercolour techniques by David Bellamy. Bookmark the permalink. Great picture. Congratulations. Great watercolor technique with wash. Great colors. I have found your work very interesting for a while now, but I recently obtained a book from the library, well that set the cat among the pigeons since then I have bought 2 more.I must admit I copied one for practise then I did one of my own and I am so happy with your influence and teaching that this painting is the best I have done. I will no doubt buy some videos as I can afford to. I am an aged pensioner from Geraldton on the coast of Western Australia,and I have my own Champion Bay Watercolour Society, and I am still teaching the basics in my club of 16.I have just turned 87 and am still pretty young.